NEW YORK, NY – Jorge Licetti of New Century Films will receive this year’s “International Distributor of the Year” award at ShowEast as a part of the International Awards Luncheon on Monday, October 22 at the Loews Miami Beach Hotel. Past recipients of this prestigious award include Diamond Films, Marcio Fraccaroli of Paris Filmes, Pedro Rodriguez of IDC, and Martin Iraola of Walt Disney Studios Motion Pictures. Jorge Licetti is the founder and CEO of New Century Films, the leading distribution company in Peru. 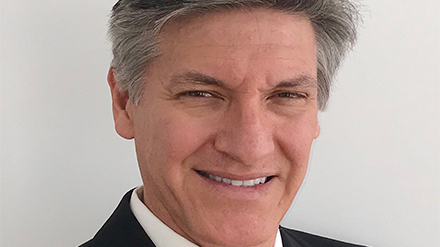 A Business graduate from the University of Texas at El Paso, Licetti began his career as General Manager for the Warner-Fox office in Peru in 1999. After 5 years in Lima, he moved to Santiago to be the General Manager of the Warner-Fox office in Chile for another 5 years. In 2009 Licetti returned to Peru and founded New Century Films, a licensee for both Warner Bros. Pictures and Twentieth Century Fox. New Century Films has established itself as the #1 distributor in Peru for 9 consecutive years. The company has also been a strong supporter of local productions, having released the 5 biggest Peruvian films of all time. During his 19-year career, Licetti has always served Warner Bros. Pictures and Twentieth Century Fox, having also distributed for New Line Cinema, Metro-Goldwyn-Mayer, and DreamWorks Animation. In addition to his role of Founder and CEO of New Century Films, Licetti has also served as member of the National Film Council in Peru and as President of the Film Board in both Peru and Chile.